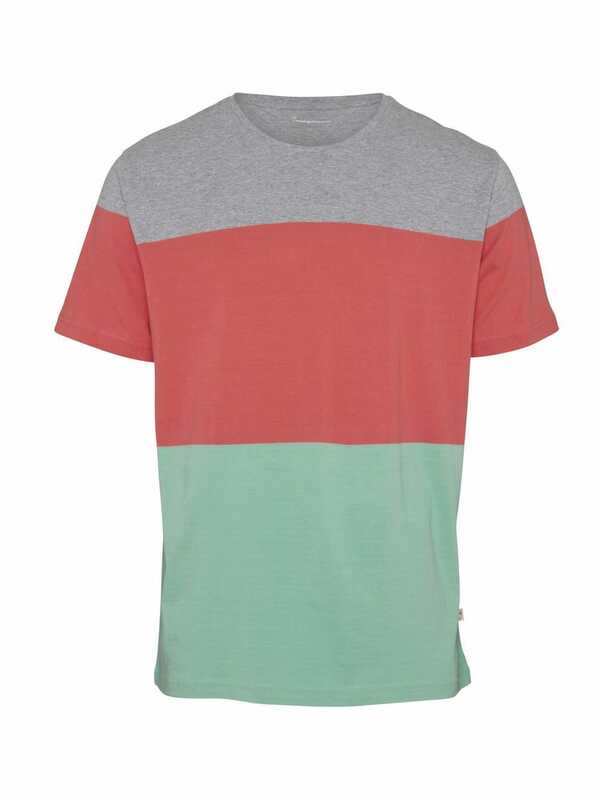 Short sleeve t-shirt with three colored blocks. 100% organic cotton. This T-shirt is GOTS certified and Vegan approved by PETA. GOTS is the world's leading certification standard for organic textiles including both ecological and social criteria. GOTS covers every step in the production process from the fiber to the finished garment. 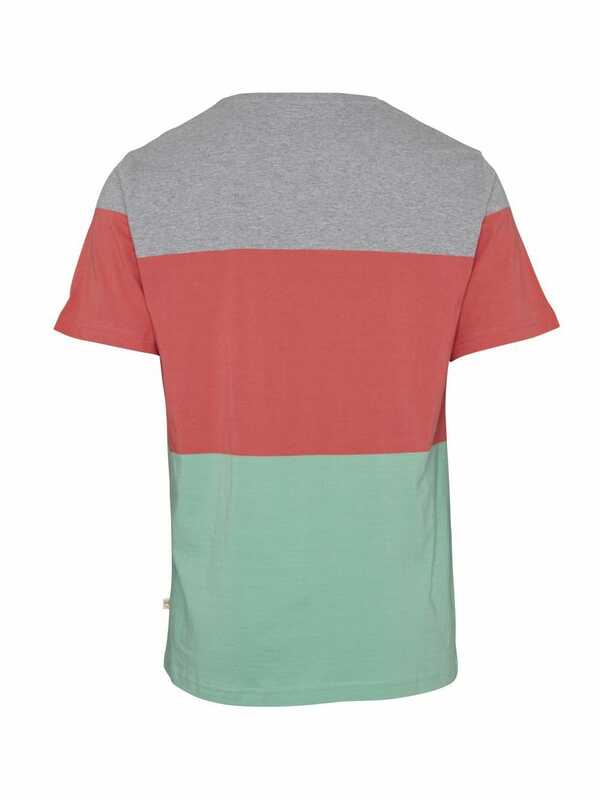 This garment is GOTS organic certified by Ecocert Greenlife, Lic.No. 151833.